Fistral Beach is probably the best known beach in Newquay. It is always busy when its sunny and a favourite with the local surfers and beach goers alike. Fistral beach is where most of the national and international surf contests are held and if you are lucky enough to be there at the right time of year you can take stock of all the festivities including live music and the surf village. Basically, it’s one big party and everyone who can, goes. 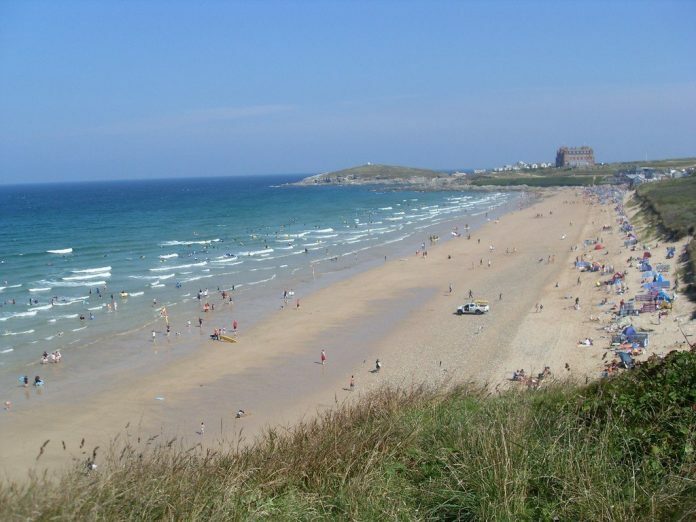 Fistral is good for surfing and lazing in the sun and has plenty of amenities, including parking, toilets and places to shop and get food. Fistral Blu, the big development on the beach offers amazingly yummy cuisine in a swanky beach atmosphere, be sure to go there for a meal while you are in Newquay. Fistral beach is easy to get to and you can walk there or drive, there are rock pools and loads of space for the kids and place to rent surfboards, wetsuits and beach goodies. Enjoy Fistral Beach! Here’s a little video action shot on Fistral a while back.